Inspired by Savannah: Skineez Skincarewear, the Only FDA-Approved Wearable Skincare Line Offers Compression Gloves, Socks and More -- All Perfect Pampering Gifts for Her This Valentine's Day! Skineez Skincarewear, the Only FDA-Approved Wearable Skincare Line Offers Compression Gloves, Socks and More -- All Perfect Pampering Gifts for Her This Valentine's Day! There are about 50 million Americans who suffer from autoimmune diseases * including fibromyalgia and rheumatoid arthritis. Many of these sufferer, including myself, are women. And, don't get me started on other medical conditions, which are added on top of these chronic medical conditions we have to deal with on a day to day basis. While many people who suffer from one or more autoimmune diseases may not show their illnesses on the outside, they do suffer day in and day out, and are always looking for ways to find even just a little relief. Like I mentioned, I suffer from a handful of autoimmune diseases, including rheumatoid arthritis, which always seem to be in a flare. It isn't until you are diagnosed that you realize just how much we take our bodies for granted. My hands suffer the most, especially because I type daily for my blog, and also because I am driving here, there and everywhere with my girls to classes and programs. After countless visits to doctors and therapy sessions, I struggled to find relief for my daily hand pain...that was until I started using Medical Grade Hydrating Compression Gloves from Skineez Skincarewear, the only FDA-approved wearable skincare line! The folks at Skineez Skincarewear make compression leggings, socks and gloves that moisturize skin while you wear them, and that also provide relief for many of the autoimmune disorders/diseases women suffer from daily! When we are kids, we hope for toys when holidays roll around. It isn't until we become adults that our idea of the perfect gift changes. We start to find pleasure in things like appliances and kitchen gadgets, and those who suffer from medical conditions look for therapeutic and pampering products that can offer some relief to their medical conditions. 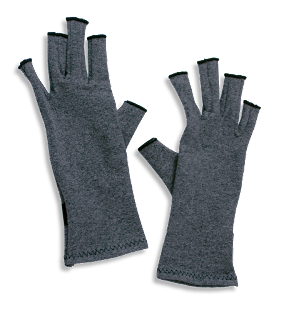 I have been using their compression gloves daily and can't believe how well they work at providing relief to my tired, achy hands. The SKINEEZ® Fingerless Compression Glove is a clinically designed hydrating glove that has been proven to have moisturizing properties that provide healthy, hydrating, and anti-aging benefits. Our Medical Grade Hydrating Glove not only delivers smoother, firmer, and younger looking skin through the active ingredients and materials, but their moisture locking and moderately compressive properties make them essential in pain relief. The compression helps to relieve arthritis, hand fatigue, and cold hands. Garment Replenishing Spray sold separately. 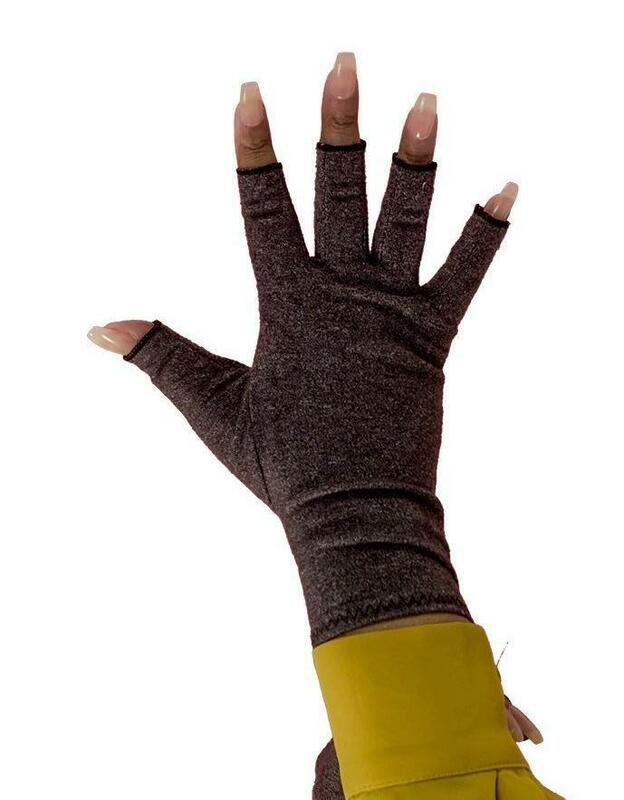 SKINEEZ® fingerless compression gloves are also available at CVS locations. This isn't the first time I have bought and tried compression gloves. But, all the precious gloves I have bought either were too tight and uncomfortable to wear, or stretched out from continual use, after just a couple week of using. But, the compression gloves from Skineez Skincarewear really are great, and were just what I needed to find relief from my hand pain and joint swelling associated with my rheumatoid arthritis flares. If you plan to purchase the compression gloves, you will also want to make sure you pick up the SKINEEZ® Garment Spray to refresh your gloves, so that they continue to hydrate your hands and keep them soft from continued use. "SKINEEZ® is new Wearable Skincare® that is clinically proven to deliver smoother, firmer and younger looking skin through a formula of benefiting ingredients including retinol, shea butter, and Vitamin E.
To get the best out of our hydrating shapewear, we made a SKINEEZ® Garment Spray to replenish your favorite garments! After the first ten washes, use this patented 1.7 oz. formula on your SKINEEZ® Wearable Skincare® garments. The formula in our garment replenishing spray re-infuses the garments with all of their key ingredients which nourish skin and help it stay hydrated, healthy and soft. 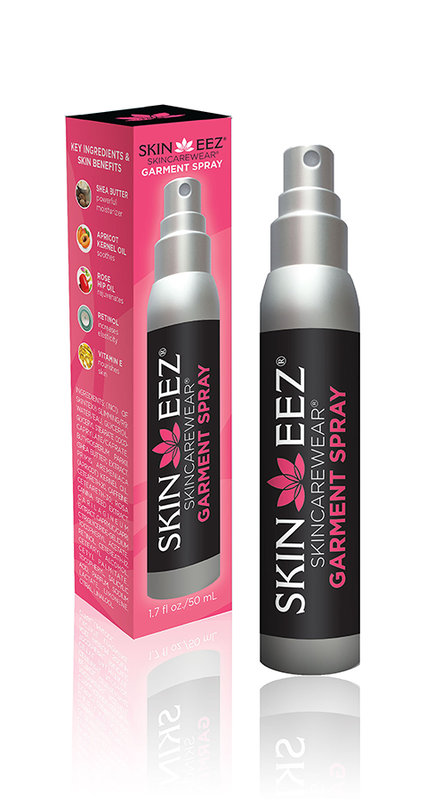 How to use our Garment Replenishing Spray? Wash SKINEEZ® Skincarewear® garment on gentle cycle in cold water, then turn wet garment inside out. Hold SKINEEZ® Garment Replenishing Spray bottle 15”-20” from the garment. Spray generously on the wet garment. (Rinse the head of the spray bottle with warm water after each use). Lay flat to dry or tumble dry on low." 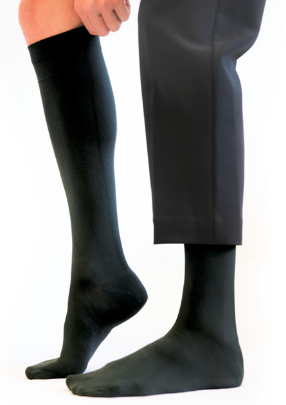 If you wear or have had your doctor recommend wearing compression garments, including socks, the folks at Skineez Skincarewear, also care a line of toning/medical grade compression garments. They carry capri pants, toning boy shorts, and compression socks, as well as a hydrating diabetic sock. As mentioned above, I was sent their Miracle Toning Camisole with Lace to try, and This camisole is perfect for women looking for a smoother, firmer, comforting lift fit. During my cancer treatment I had to have a port-a-cath put in new my shoulder, and can no longer wear strap bras as they rest in the area where the scare is and either irritate or press in and hurt the delicate scarred area. So, I have made the move to camisoles and sports bras that have wider straps. Compared to what I have been wearing, I have to say that the SKINEEZ® Miracle Toning Camisole with Lace Trim is by far my favorite camisole I have worn. "The SKINEEZ® Miracle Toning Camisole with Lace Trim is clinically proven to deliver smoother, firmer, and younger looking skin while providing the comfort, lift and support that you need. This toning camisole is a brilliantly designed garment that expertly combines skincare and shapewear. The luxe fabrication is very soft and comfortable, suitable for anyone and for any situation. Confidently wear this toning camisole under a sweater or top, a jacket, or simply alone with jeans. The shapewear camisole contains properties that soothe and moisturize your skin while you wear it. The compression fabric and trim prevent riding and bunching. The SKINEEZ® Miracle Toning Camisole with Lace Trim is a must-have in every color to expand your wardrobe options! To get the best use out of Miracle Toning Camisole, you will want to re-infuse it with SKINEEZ® Garment Spray after ten washings (sold separately). Rose Hip Oil – famous for its rejuvenating powers. L/XL - Fits U.S. sizes 10-16"
I love how it can be worn alone or under a jacket. The camisole looks dainty and stylish, and really does an amazing job at slimming and lifting and providing support all over, without bunching up or feeling overly tight like other toning garments on the market. I was so happy I had the opportunity to try out this camisole and compression gloves from Skineez Skincarewear. They really have made dealing with day to day side effects from my chronic medical conditions and past cancer treatment better. This Valentine's Day, why not give a pampering gift from Skineez Skincarewear that SHE really wants, and would appreciate? From hydrating compression gloves to miracle toning camisoles and stockings, Skineez Skincarewear has just what you are looking for, at affordable prices. Head on over to myskineez.com to order today, and receive in time for Valentine's Day!